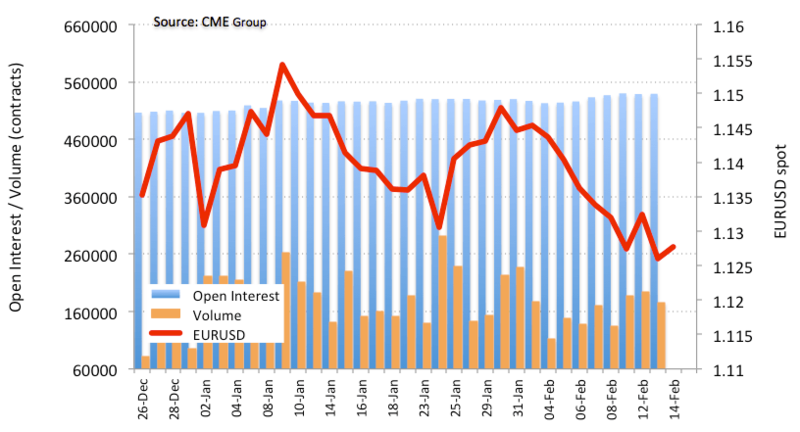 According to CME Group’s preliminary figures for EUR futures markets, open interest rose by just 490 contracts on Wednesday from Tuesday’s final 538,627 contracts. On the flip side, volume reverted two consecutive builds and dropped by around 18.5K contracts. EUR/USD almost charted a bearish ‘outside day’ on Wednesday and closed in session lows in tandem with a small build in open interest and a moderate decline in volume, leaving the prospects of a potential visit to 2018 lows at 1.1215 well on the cards in the short-term horizon.